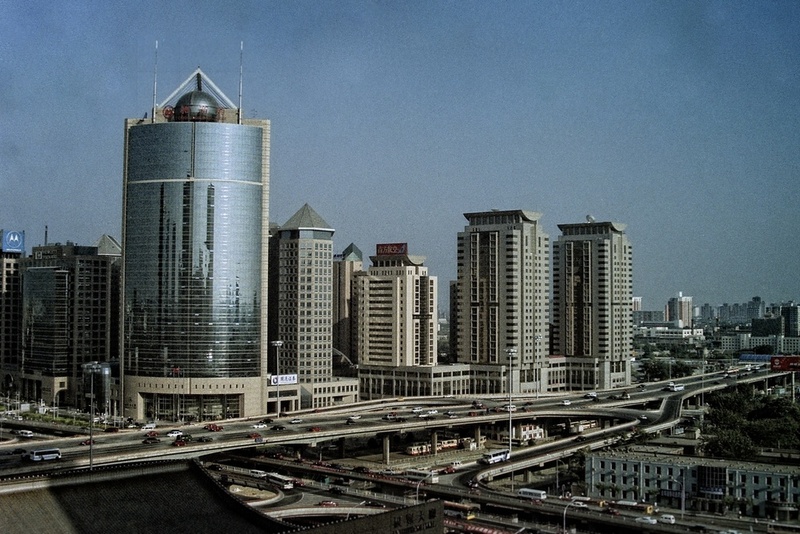 The skyline of Beijing has changed dramatically in the last decade. I was last in China more than a decade ago, before the building surge for the 2008 Olympic Games. This is from 2002, a small portion of the skyline roughly 2 miles west of Tiananmen Square. Someday I'll return to Beijing - and I'm sure I'll barely recognize it.